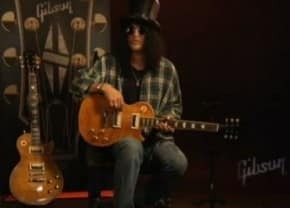 Less than a week later Gibson finally confirmed what we had already suggested–on September 24th Gibson officially announced the Hendrix Strat and posted detailed images from the factory. The rave was less than favorable for Gibson and obviously, it didn’t turn out as Gibson had initially planned. Who knows, maybe Gibson was expecting millions of people to show up at the land-of-Woodstock to dance naked in the warm rain while singing kumbaya–Didn’t happen! Instead, people were downright pissed off about the Strat ripoff with Jimi Hendrix’s mark on it–Gibson has been under scrutiny for the past 10-days. My grandmother once said, “if you can’t stand the heat, get out of the kitchen“–apparently Gibson felt more than heat–they were getting burned from the massive flames being thrown at them. Three days later, on September 27th, Gibson removed all the content from their official website about the new Gibson Hendrix Stratocaster. After feeling the flames for days Gibson is now laying low. Smart move guys! Now who’s pissed? 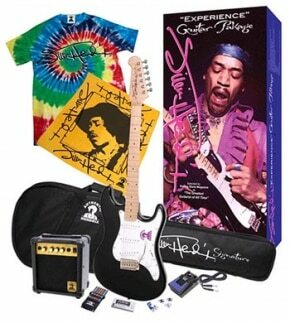 Authentic Hendrix LLC are probably outraged over this–clearly they wanted to cash in, with Gibson, to mass produce these Gibson Hendrix Packages that range from $229 to $449. Some ‘special collector’, right? 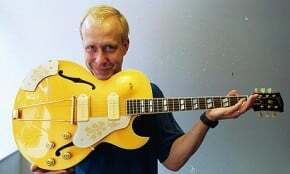 Hey, maybe Gibson’s next brilliant PR stunt will be a Sponge Bob Rhoads Hollowbody. Can’t wait! R.I.P Jimi, we got your back! 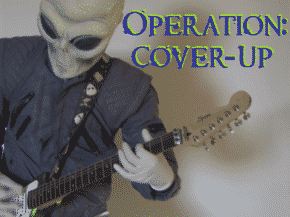 Gibson Hendrix Strat – The People Are Pissed! We’re all so wrong on here. See the link below. According to Gibson, Jimi would have played an old tin box if it had strings on. As to his ability as a player, see his blues stuff before writing him off as good, but not that good. It”s like saying picasso was ok but not that great. He was a sublime artist before taking his own style and moving in a completely new direction.